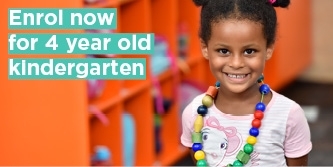 Bridge Road Kindergarten is a new state-of-the-art facility offering families innovative, high-quality kindergarten programs. Our play-based educational programs provide opportunities to promote your child's creativity, curiosity, resilience and a love for learning and discovery. Our dedicated team of educators create a warm, supportive and caring environment where your child's social, emotional, cognitive, physical, language and literacy developmental needs are met. Our learning programs are flexible and we adapt these according to your child's interests and ideas. It is our goal to encourage and assist your child to reach new heights and extend their ideas, providing them with the foundations for lifelong learning and to facilitate a smooth transition to school. We understand you and your family are your child’s primary educators and we pride ourselves on our trusted partnerships with parents and families. We welcome input and appreciate suggestions about any aspect of our programs. Bridge Road Kindergarten has been rated as Exceeding National Quality Standard. Information about the National Quality Standard. 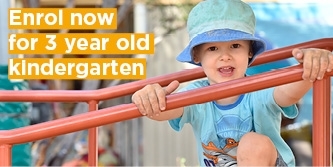 At Bridge Road Kindergarten your child will experience innovative and diverse learning experiences in our amazing indoor and outdoor play spaces, which include spaces for individual or small group play, mature plants and trees, water pump and sand pit. Your child will be able to be part of caring for our kindergarten pets. Our pets will give your child the opportunity to learn about the natural world and life cycles.